A couple of weeks ago Sprout was invited to her friend’s birthday party. Her Mamma, Jena, is a gluten free vegan, who loves to make healthy treats for her whole family. The entire birthday fare was healthy–low fat, whole foods, all plant-based, and all delicious. One of our favorite treats was a sugarless, oil free, gluten free carrot cake. I know it sounds like a mouthful, and could leave an impression that it was not tasty, but it could not be further from the truth. In fact it was so good, that I asked Jena to make this cake for Hubby’s birthday. We had mostly non-vegans over to celebrate it–all of them fell in love with this carrot cake. I asked Jena’s permission to share her delicious recipe with Vegalicious readers, and she generously agreed. I tweaked it just a little for my trial run. It turned out delicious. A true guilt free dessert! buttermilk: 1 cup almond milk mixed with 1 tbsp vinegar. Let sit for approximately 5 minutes. Preheat oven to 350 degrees F (175 degrees C). Line a 9×13 inch baking pan with parchment paper, or lightly dust the bottom and the sides with GF flour. Set aside. In a large bowl, mix together date (or coconut) sugar, apple sauce, egg replacer, vanilla, and “buttermilk”. Stir in carrots, coconut, and crushed pineapple. In a separate bowl, combine gluten free flour, baking soda, cinnamon, and salt; gently stir in carrot mixture. Bake for 60 minutes or until toothpick inserted into cake comes out clean. Remove from oven, and set aside to cool. Once cooled off, the carrot cake should taste lightly moist; and it will be very filling. Cake keeps well refrigerated for a few days. Combine all frosting ingredients in a high speed blender. Puree until smooth. Transfer the frosting to a glass container and cover. Chill for several hours in the refrigerator, or until firm. I have plans to try this recipe with wheat flour, and also make it as carrot cake cupcakes. When I do, I will be sure to update this post with recipe modifications and images. 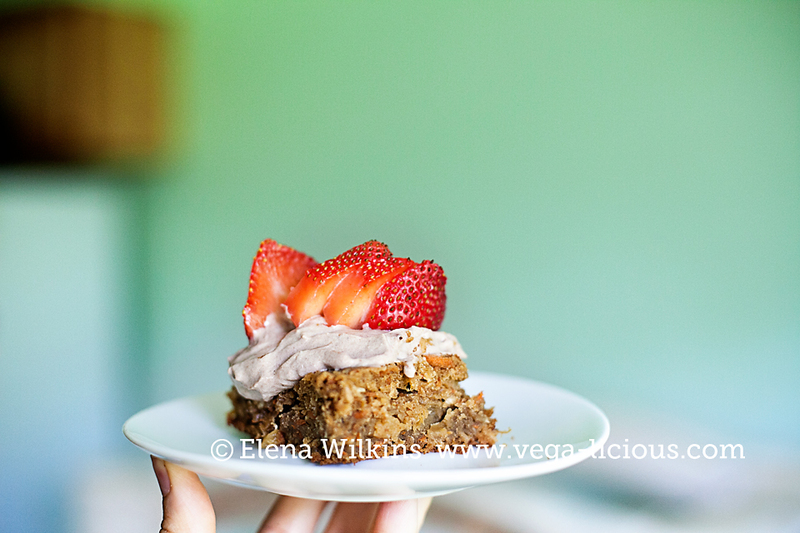 Bake this delicious, guilt free carrot cake, take pictures, tell me how it turns out, and share this recipe with others, using social share buttons around this post. 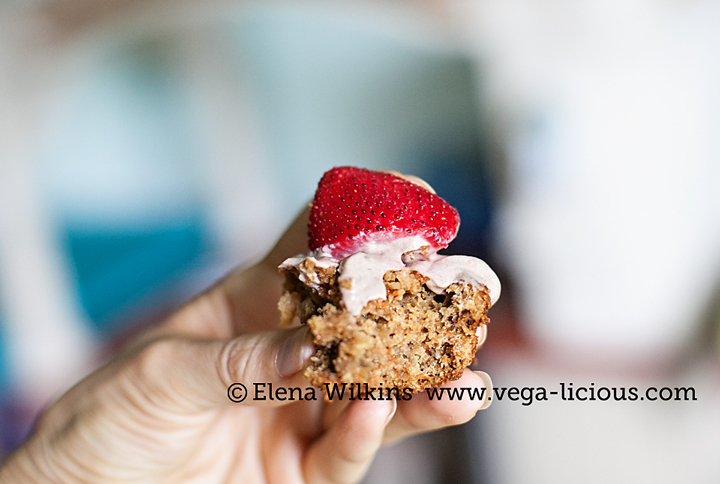 Lets make this world a healthier place one delicious gluten free desserts at at time!